The famed Dr. David Colbert expands his practice, creating an oasis for wellness and integral health in the center of Manhattan. 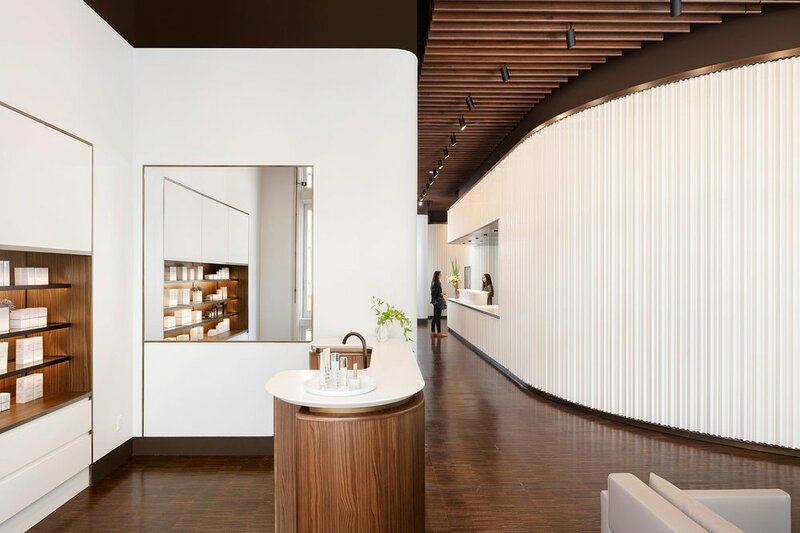 Located at 119 Fifth Avenue in the classic Flatiron district, New York Dermatology Group’s newly renovated health and wellness facility occupies a sprawling 7,000 square feet. The space includes eight state-of-the-art rooms, an I.V. infusion suite, nutritional consultations, two types of cryotherapy, collagen beds, as well as various laser and other related devices. The environment is impressive. Realized by Brandon Haw Architecture who worked alongside the expert fabrication and installation team Paolo Cassina Custom Interiors, it’s a space one can get used to very quickly. Yes, Susanne Kaufmann is in the house! The highly praised product line is well-curated and is coupled with facial and body treatments. Specially trained in the Susanne Kaufmann protocols, a team of expert aestheticians will offer a customized menu of facial and body services targeted to the client’s specific needs and interest. Colbert is board-certified by the American Academy of Dermatology and board eligible in Internal Medicine. He has been established in private practice in New York City since 1995, and many boldface names, from Naomi Watts to Alessandra Ambrosio, flock to see Dr. Colbert (unless he’s out surfing! Yes, he’s an avid surfer). And there’s also Lauren Hackney, the lead medical aesthetician who specializes in lasers, microdermabrasion, chemical peels, and creating customized treatments and at-home care, based on patient concerns. “Our clinical patients are embracing the integration of health and wellness. They are already engaged in these type of services, but until now they had to go to two or three, even more, places to experience them all. They are excited to be able to have everything in one luxurious place—and with physicians and practitioners, they trust. It’s the way of the future,” said Colbert. Can you say one-stop shop to beautify inside and out? Yes, and then some.